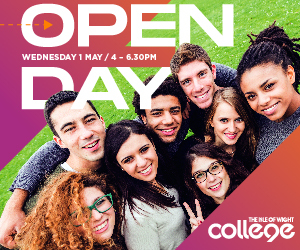 The Open Day is a chance to pop in to 147 to see what Network Ryde offers and learn more about how they support young people, as well as see the excellent alcohol misuse exhibition. As well as seeing a "Premier Showcase" from Ryde Academy, the team from Medina College came home with many awards. Congratulations to pupils, teachers and parents as this Isle of Wight secondary school picked up a host of awards at last night's 2019 Rock Challenge®. MyCharleston dancers are toe tapping their way around some of the south coast’s most iconic landmarks, including Sandown Pier on the Isle of Wight. Ventnor Fringe 2018: What will you discover? The Ventnor Fringe Festival is undoubtedly one of our favourite festivals of the year. Set in a wide variety of unusual venues across this creative and quirky town there are 70 shows to choose from this year. Providing something for everyone! BalletWorks promise a treat and a half at the end of July when they return to Medina Theatre with dancers from Stuttgart Ballet. All in aid of Mountbatten so book now to support this fantastic event. The top man at Arts Council England will be heading to the Isle of Wight at the end of the month for the New Carnival Company’s annual Mardi Gras in Ryde. The Dance Company recently took part in a project to bring together people from all walks of life and from all around the world through dance. Captured on film by Paul Windridge.